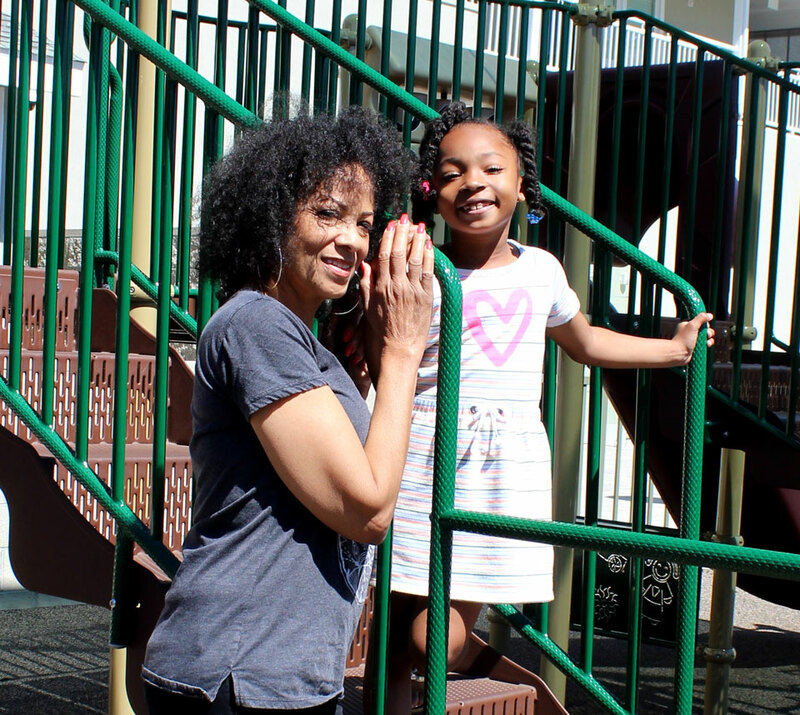 Lori Bush and her 6-year-old granddaughter, True, visit the San Fernando Valley Rescue Mission in Northridge, where they stayed in fall 2015 before securing their own place. Photo courtesy of Rescue Mission. The San Fernando Valley Rescue Mission opened the doors to its brand-new, 16,000-square-foot facility — compared to 6,000 square feet at the former location — on Canby Avenue, just south of California State University, Northridge. Photo by Lee Choo. CSUN graduate student Cynthia Lemus (right) works as one of two CSUN interns at the Rescue Mission. 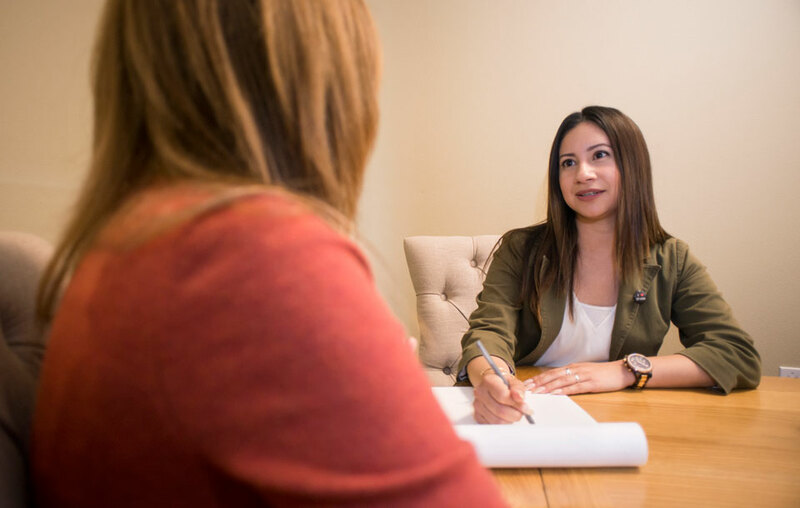 The students from CSUN's master of social work (MSW) program provide financial literacy education and parenting classes to the residents, after-school care to the kids, case management and counseling. Photo by Lee Choo. 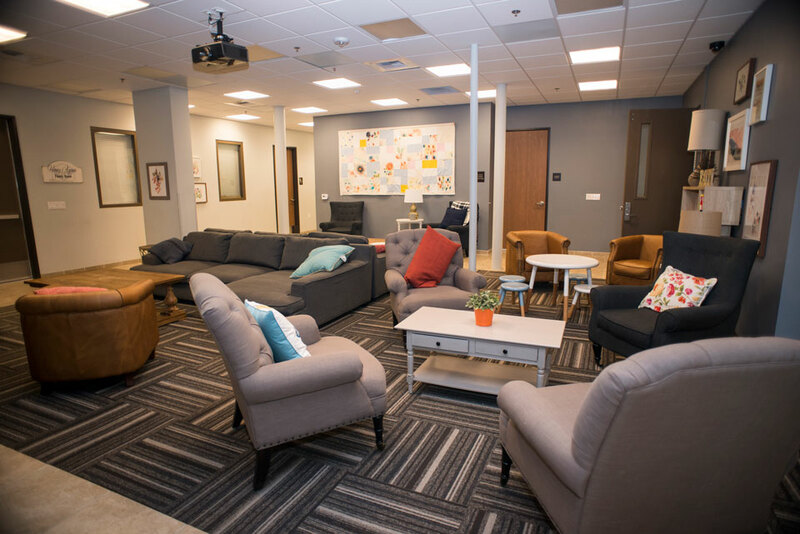 The new San Fernando Valley Rescue Mission boasts a “living room” with comfy couches, which helps the facility feel like a big house. Photo by Lee Choo. 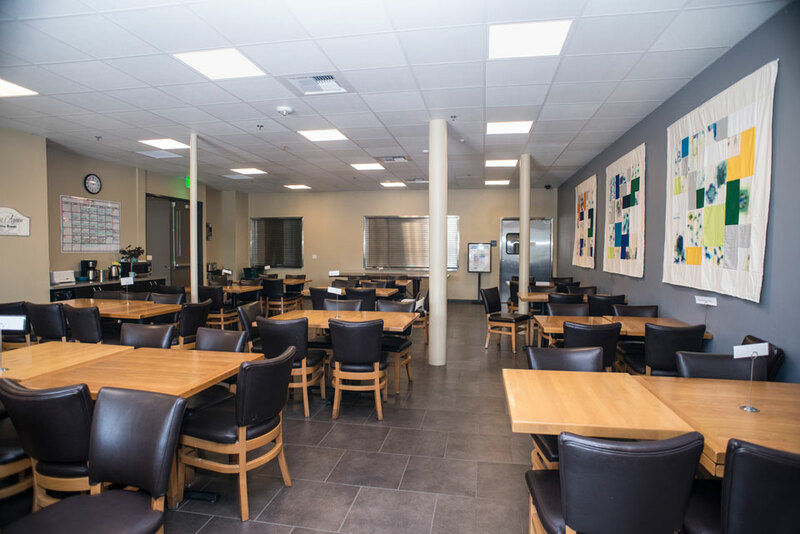 The spacious dining room at the new San Fernando Valley Rescue Mission in Northridge. Photo by Lee Choo. 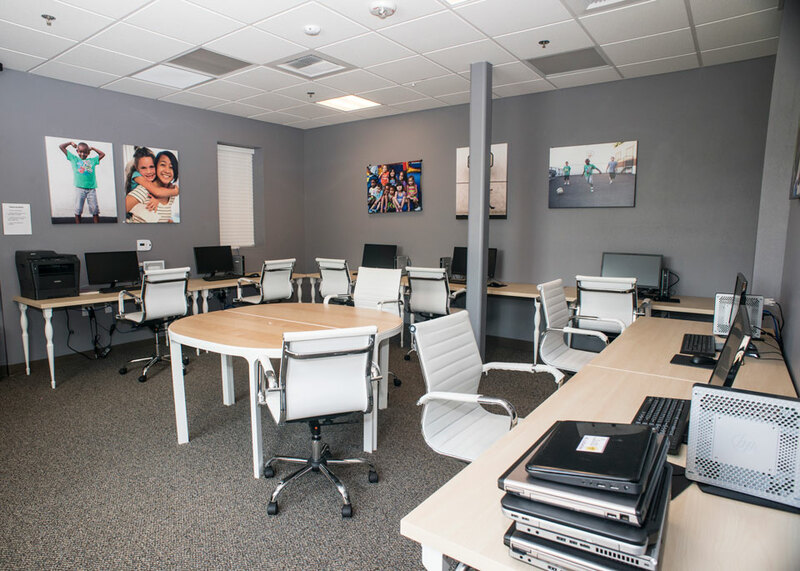 The first-floor computer room at the new San Fernando Valley Rescue Mission serves as a space for kids to do homework and adults to research jobs and housing. Photo by Lee Choo. 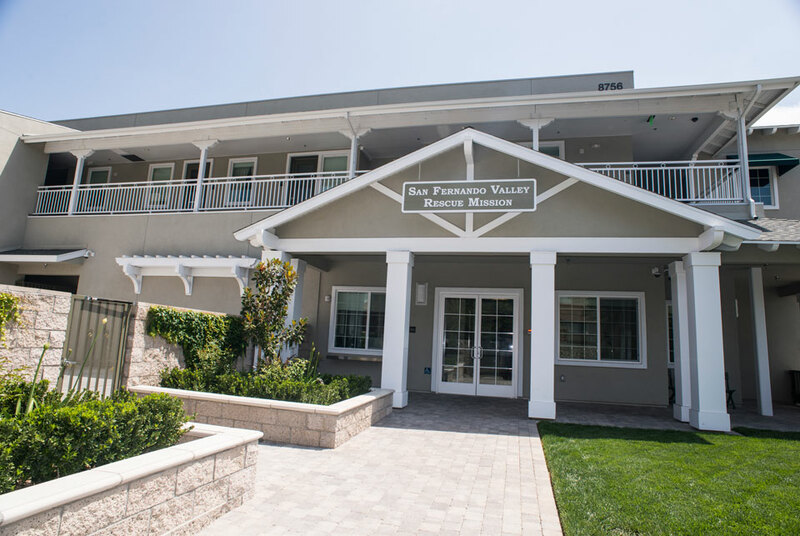 On its first floor, the new San Fernando Valley Rescue Mission recently opened a short-term shelter space with dorm-style housing. Photo by Lee Choo. 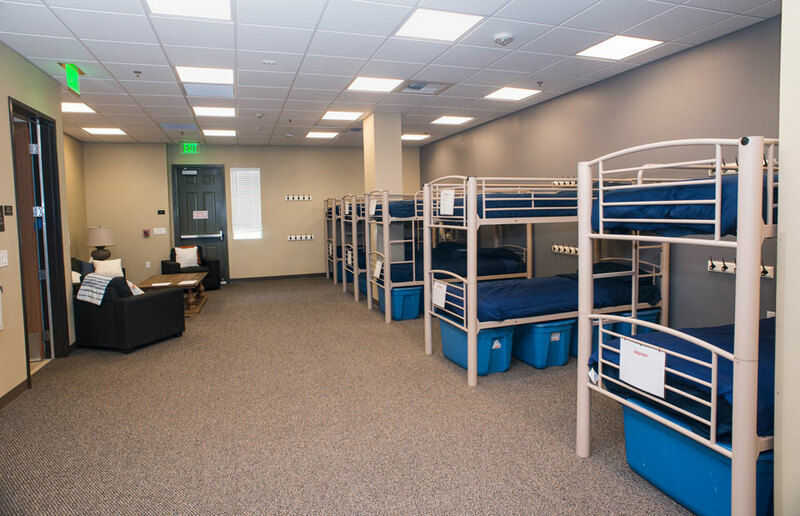 On the second floor of the new San Fernando Valley Rescue Mission, rooms for individual families feature cozy bunk beds with colorful linens. Photo by Lee Choo. 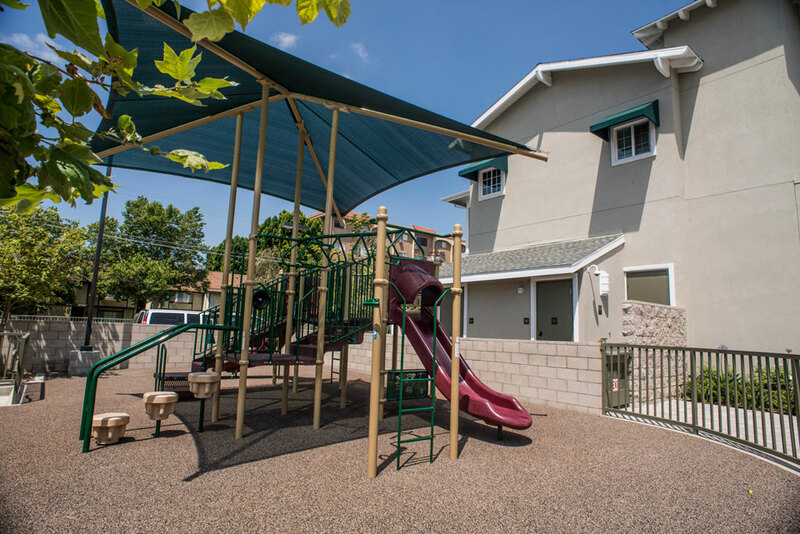 The playground at the new San Fernando Valley Rescue Mission on Canby Avenue in Northridge. Photo by Lee Choo. By the time she reached the San Fernando Valley Rescue Mission, Lori Bush felt like she was at the end of her rope. Bush had suffered a debilitating back injury, had just had back surgery and was unable to work. She was struggling to find a place to live for herself, her daughter, Aisha, and her granddaughter, True, then 4. The trio had slept in Bush’s car, a shelter and then bounced from place to place, sleeping on friends’ floors. Then in October, a case worker at the Rescue Mission called Bush to let her know her application for housing there had been accepted — and the family of three could move in immediately. Just one month before, in September, the Rescue Mission had opened the doors to its brand-new facility on Canby Avenue, just south of California State University, Northridge. A longtime partner of the university, the Rescue Mission was forced to find a new home after a devastating fire destroyed its former location in North Hollywood in May 2014. Founded in 1998 as a meal program for the chronically homeless, the Rescue Mission had developed into a shelter and had been using the North Hollywood location — which was supposed to be temporary — for about seven years, said director Wade Trimmer. The nonprofit already had purchased the Northridge property, a vacant office building ready for transformation, when the fire struck, he said. The Rescue Mission provides short-term housing, up to 90 days, and longer-term housing, up to 10 months. All of the residents are families. The facility, just blocks from campus, has allowed the partnership between the Rescue Mission and CSUN to develop even greater synergy. The university’s Unified We Serve group funnels scores of student and staff volunteers to the Rescue Mission, where they play with the children and assist with homework, serve meals and coordinate clothing drives. And this academic year, for the first time, CSUN’s Department of Social Work has sent two graduate students from the master of social work (MSW) program to intern at the Rescue Mission. In the fall, that number will grow to four. The MSW students provide financial literacy education and parenting classes to the residents, after-school care to the kids, case management and counseling. Allen Lipscomb, a CSUN lecturer in the MSW graduate program who is supervising the students, hailed the collaboration. “What I like about it is not only the diversity of their clientele, but the types of issues and challenges [the students] are working with,” said Lipscomb, who volunteers his time as the CSUN interns’ field supervisor. “They’re helping connect people with social services and housing options, they’re addressing mental health issues and educational barriers for the children. … One of the interns even created a [homework] incentive program for the children. Other recent collaborations between CSUN and the Rescue Mission have included theatre students performing an original play for the residents, based on their observations at the new facility. At 16,000 square feet — compared to 6,000 square feet at the former location — the new Rescue Mission is light and airy. It boasts a “living room” with comfy couches, a spacious dining room and a computer room on the first floor, as well as a short-term shelter with dorm-style housing. 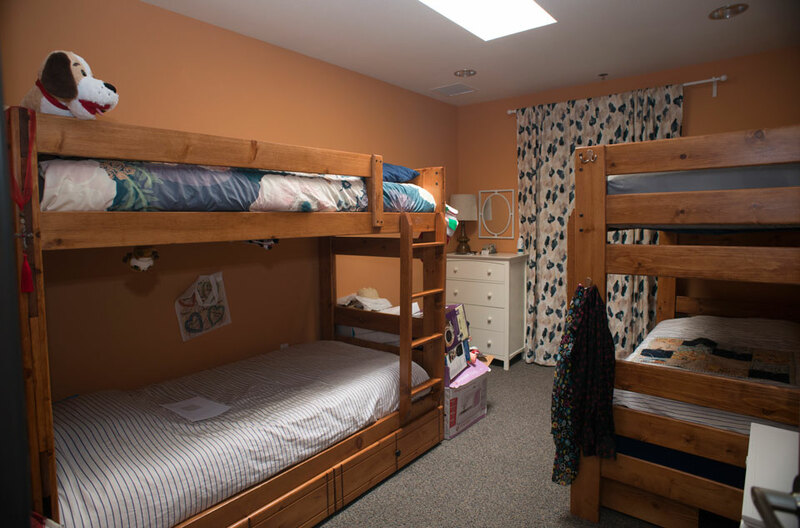 On the second floor, the rooms for individual families feature cozy bunk beds with colorful linens, and kids’ common areas are peppered with bean bags, bookshelves and stuffed animals. “We treat it like a big house,” Trimmer said. The Rescue Mission is unusual in the LA area, he said, because few family shelters exist. At most of the facilities she approached for help, Bush said, she was considered a single adult because her daughter, Aisha, now in her mid-20s, was over 18. The average stay at the Rescue Mission is four to five months. The organization requires residents to secure employment within the first 30 days. Current residents include nurses, restaurant workers — even a full-time CSUN student who is a single mom. After Bush’s family spent three months at the Rescue Mission, nonprofit organization L.A. Family Housing helped her secure an apartment in Sherman Oaks, paying her security deposit, first month’s rent and helping with ongoing rent assistance. In January, the family moved in. Eighty-five percent of the Rescue Mission’s residents leave there, like Bush, with the keys to their own home. Now disabled and going to physical therapy for her back, Bush has applied for disability through Social Security. She returns to the Rescue Mission at least once a week to volunteer, and she hopes to go back to school. Aisha is finishing cosmetology school, and 6-year-old True is excelling in kindergarten. In fact, Bush said, the volunteers and staff of the Rescue Mission lifted her entire family.